I don't know about you but culture hasn't always been the easiest thing to teach and incorporate into a lesson. However, it has always been my favorite. The culture of the countries and the people is so intriguing to me and I love to share it with my students when I can. This month is a great opportunity to explore the culture of the Afro-latino community and identity. There are many ideas that can help you make Black History Month jam packed with culture! It is so important to expose students to culture. Many people have an idea of what it means to be Latino and what it looks like, but exposing students to what it means to be Afro-latino and how there isn't one specific mold can be eye-opening. I wanted to expose my students to the word afro-latino. First, I typed the word onto a slide and asked them to think for a minute. After a minute, I asked them what they thought of the word. What do you think it means? I got many different responses. Some were very close and some were right on target. For students that are more visual or auditory learners, using videos with definitions was a great option in my classroom. There are a couple videos that explains what being Afro-latino means from Afro-latinos. Check out What Afro-Latinos Want You to Know and What Does It Mean To Be Afro-Latino. These videos are in English and Spanish (with subtitles). It was very helpful to my students to gain a better understanding of the term and culture. These videos are AMAZING because they give the point of view of several Afro-latinos. I created exercises for my students to use that include a variety of options for students to record what they understand and their opinions while watching the above mentioned videos. 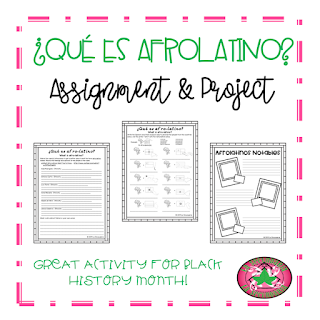 There is also a project handout for students to explore more of the Afro-latino culture. 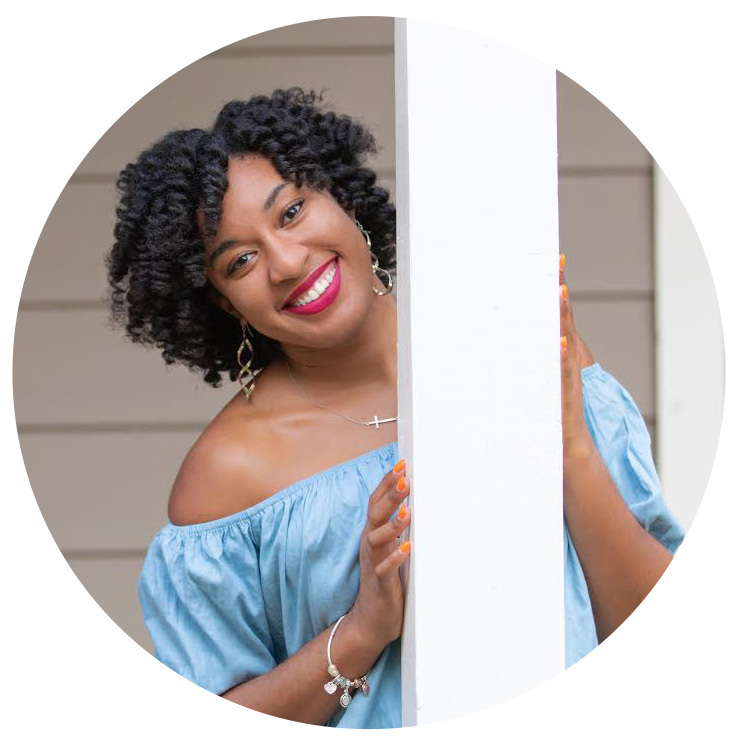 You can access this resource by subscribing to my newsletter and gaining access my freebie library. For the project, students will create a poster with information about 3 Afro-latinos. You can also gain access to a ¡SEIS! Game spelling Afro-latino Stars names. Incorporating this part of culture allows students to experience more in depth the Latino culture. I really hope this gives you a better idea of how to incorporate Afro-latino culture into your class. 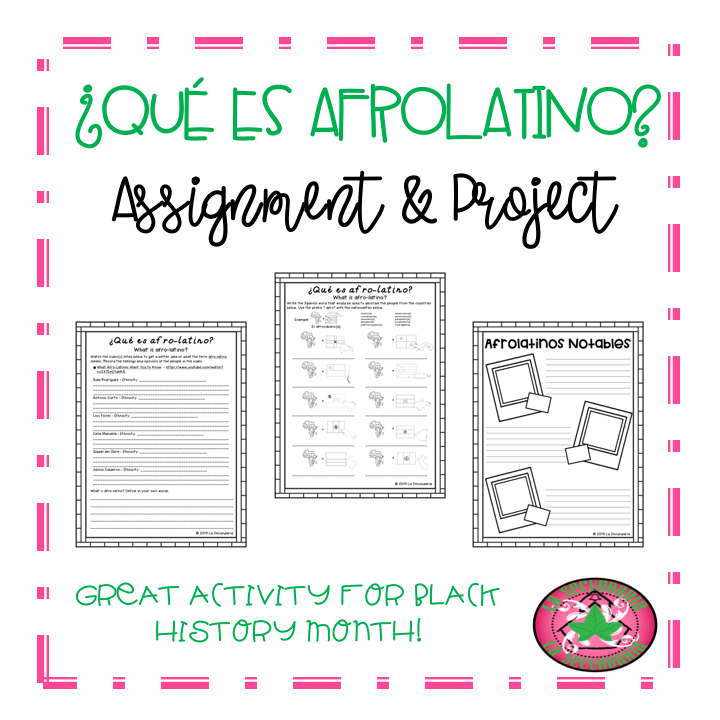 Check out these blog post about Afro-latino Culture and ways to incorporate Black History Month into your lessons in Spanish class. It can be very hard to teach culture but I agree that it is so fun (and necessary) when done with forethought and care. love incorporating culture into my lessons and the Caribbean culture is so vibrant and diverse that students easily fall in love with it! Oh yes! Culture was my favorite part of learning Spanish and living in other countries. It's so important for students to be able to travel in some form and learn about other cultures. Some kids don't get to travel so the culture they get from us may be it!